Did you know that Pink Panthers are addicted to Grapes? True story. Today I have a very special Monday Halloween Edition of Healthy Snack Wednesday! Make sure to read all the way to the bottom for a chance to win your own trick-or-treat stash! Here is the question. Why does candy rule Halloween? Sure, I love a few bars of chocolate to celebrate, but as a kid didn’t we almost always eat about a third of our stash, go into a sugar coma, and then forget about the rest of the candy until we find it petrified several months later? As an adult we have the chance, dare I say the responsibility, to make Halloween a little less glutinous, and a little more edible. So, I have a couple of suggestions of goodies you may want to opt for when distributing Halloween Booty this year. I would like to mention that the 3 snacks I have listed below were sponsors of the Boston Brunchers Bday Brunch. However, I love all of these products and what they stand for! 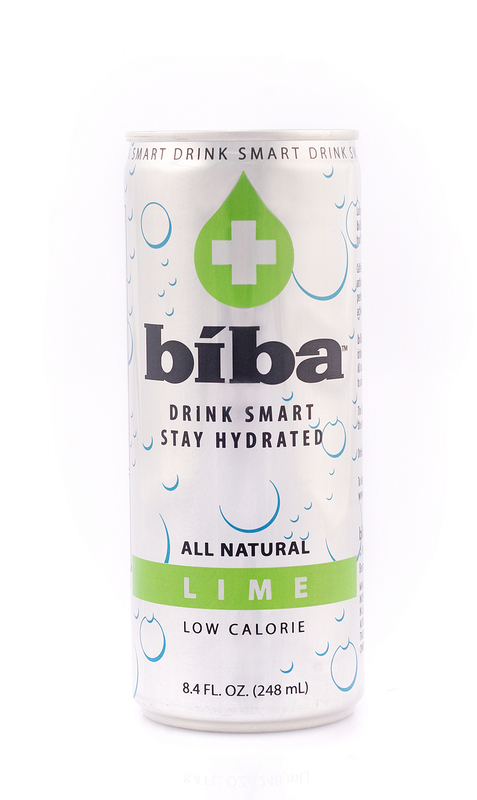 Biba is an all natural blend of essential vitamins, minerals and electrolytes with a crisp, refreshing lime taste. Caffeine free and low in sugar, Biba is a hybrid beverage; the great taste of a sparkling all natural soda loaded with electrolytes and vitamins to keep your body naturally hydrated. I was super surprised when I tasted Biba. I am not a fan of “diet” drinks, and I am also not a fan of sports drinks. By reading about Biba, I somehow expected it to be in one of these categories. But it wasn’t. It was like a much more refreshing, less sweet lemon-lime soda. You really have to try it to understand. I promise the taste will happily surprise you too! Why is this a good Halloween Treat? Hopping house to house with copious amounts of sugar can make a kid thirsty. Your trick-or-treaters will be excited to be able to quench their thirst without heading home. The cans are very light weight, and won’t weigh down their stash at all. Plus, you know you will be the only one on your street giving out beverages! Kind of like the one house in the neighborhood that gave away the full-sized candy bars. There was always a line to get to that guys doorbell! Have you tried popchips yet? If not, where the heck have you been? think popped. never baked. never fried. when they said it couldn’t be done, we raised the snack bar. how do we do it? well, first let’s talk about how we didn’t do it. we never fry our chips. that just puts a lot of stuff in there that we could all do without. we never bake our chips either. that just takes a lot of flavor out, which, as snackers, we simply can’t so without. so we came out with a chip like no snack aisle has ever seen (or taste bud has tasted). thanks to the magic of popping, we found a way to pop all of the flavor in while keeping the fake stuff and more than half the fat of fried chips out. Why is this a good Halloween Treat? 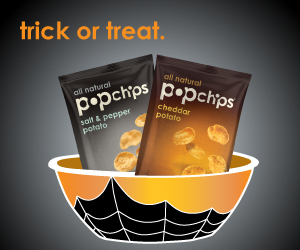 Handing out Popchips for Halloween will instantly up your street cred with the kids. You are giving them a snack that is unlike any other they have tried. Step it up by handing out the new Jalapeno flavor, and instantly your house will be the neighborhood trendsetter! Pretzels that you can dip without stuff falling off, and they come in absolutely flavor-bud bursting flavors?! I’m in! Pretzels Crisps® are a great alternative to potato chips and other snack foods. They contain 110 calories per serving and no fat (10-11 crisps) compared with 150 calories and 10 gram of fat (1 g saturated) per one ounce serving for potato chips. Why is this a good Halloween Treat? I’m not going to lie, parents will probably steal the Pretzel Crisps out of their kids’ trick-or-treat bags before the last door bell has been rung! They are the perfect snack for entertaining, and the perfect substitute for greasy potato chips! But parents, you don’t have to steal the Pretzel Crisps from your kids, because I am about to make your Halloween! Pretzel Crisps has generously offered one lucky Eat.Live.Blog reader a case of 150 Halloween sized (.5 oz) bags of Pretzel Crisps for their Halloween trick-or-treaters! All you have to do is comment below with a favorite Halloween memory or snack. If you would like an additional entry, and if you are on twitter, simply tweet “The perfect trick-or-treat snack thanks to @pretzelcrisps & @renh77 http://wp.me/pVsto-yA“. Leave me a comment here to say that you tweeted. Contest open to residence of the continental US only. You must be at least 18 years old to win. Entries must be received by Tuesday, October 25, 2011 at 11:59pm. Winner will have 24 hours to respond to the winner notification email. So happy trick or treating readers! I look forward to reading what your favorite treat is! This entry was posted in Random, Reviews and tagged Contest, giveaway, halloween, healthy, idea, snack, trick or treat by reneeh. Bookmark the permalink. I love Pretzel Crisps! My favorite Halloween memory was when I was little and we would actually bob for apples. So fun! I’ve never tried any of the products you listed. I’m a sucker for snack foods too so this would be awesome to try and give out of course 😉 I don’t really remember many Halloweens sadly. I wore my moms wedding dress one year when I was in elementary school.It had to be pinned up and everything but it was fun. I don’t think a single picture exists of that night though. Caramel apples are the gold standard. 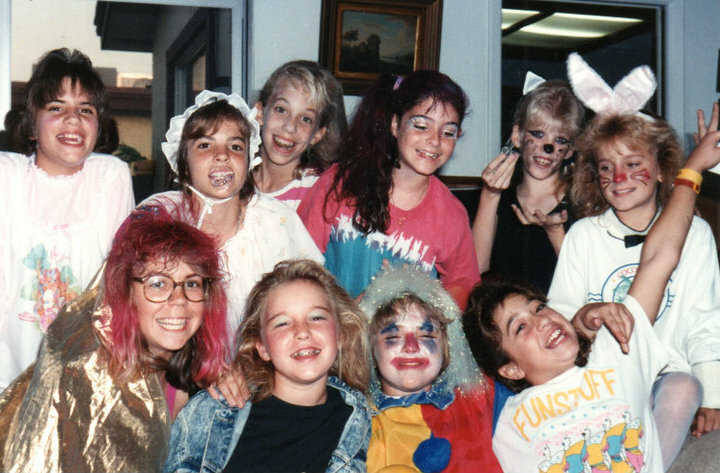 I was a clown one year for Halloween! Full face paint and all. My favorite Halloween Memory is trick or treating at the local taco eatery and scoring a free soft taco! My favorite Halloween memory is coming inside from the cold for hot chocolate or hot apple cider and sitting by the fire to warm up. Halloween makes me miss being a kid! I wasn’t too excited about Pretzel Crisps until I tried them for the first time after the brunch…the Jalapeno Jack is SO good. My favorite part of Halloween is obviously the candy.. and since I’m not a chocolate fan, I could trade one mini snickers (which were THE best thing to get, don’tcha know) for like ten packages of skittles, sweet tarts or sprees. 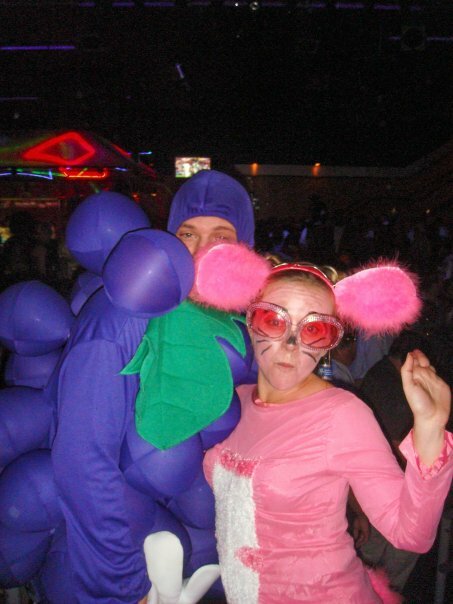 My favorite halloween moments are thinking back to when I got to pick my costume out!! I have a butterfinger problem…. and candy corn! my fav Halloween snack/candy is Kit Kats! love these thangs. fav halloween snack is a toss up between mummy crescent dogs and straight up kit kats.